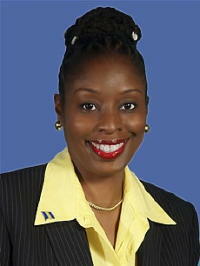 Shocked DLP Senator Irene Sandiford-Garner – Insulated from reality? Senator Irene Sandiford-Garner, Acting Minister of Tourism, told reporters that she was “shocked” at the behaviour when over 6,000 desperate Bajans lined up to apply for fewer than 600 available jobs at the new Sandals Resort. No matter the astonishment of the political elites, the vast majority of ordinary Bajans were not shocked to see a once-proud populace begging for menial work serving tourists – and pushing their way to front of the line by any means necessary. Clean that toilet? Sure, I’ll do that! Carry bags from the bus to hotel rooms? Pick me! Pick me! What a deal! Sandals will pay no taxes, no import duties on building materials or supplies shipped in. The exact details of the concessions haven’t been released because… because… well… our Barbados government gave everything away in a move of desperation. Damn right they did, because after three decades of mismanagement, theft and giving the dole to anyone who wanted it, Barbados has nothing left. Our nation of Barbados is as desperate as the Bajan job seekers – so our government put aside long-term considerations and totally caved to Sandals just to land a few hundred jobs. How many jobs really? Who knows? The deal doesn’t require Sandals to provide work for a specific number of Bajans. How many Sandals employees will come from other countries? Don’t ask! You’re not allowed to know – it’s part of the deal. Rum? Hey… that will come from Jamaica at zero duty rates while our own (and superior) Mount Gay Rum takes a more expensive back seat. Chicken? All frozen from the USA. Vegetables? Ha! The Sandals policy is price first, quality and local supply second and third. Don’t be surprised my friends. This thing that has happened to Barbados is not getting better. Every other Caribbean island increased their tourism visits in the last 12 months… except us. Look after your family and friends as best as you can…. you might need help next. Thanks to The Nation for the photo!